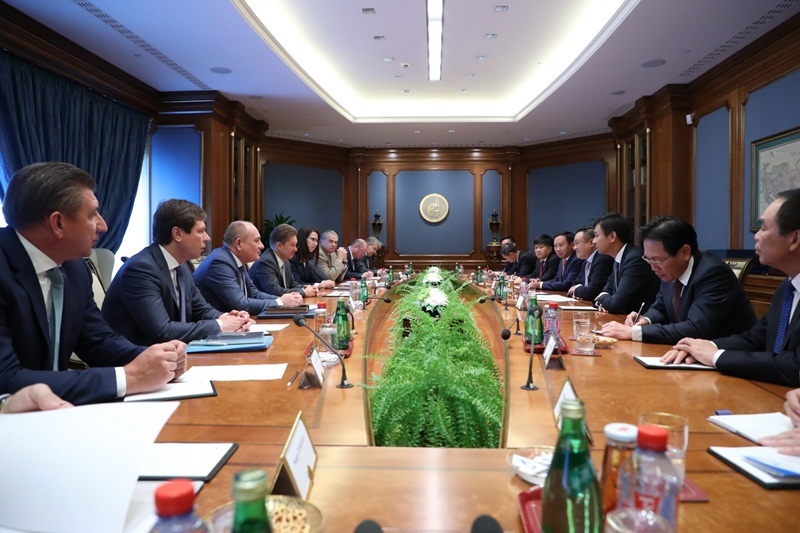 At July 10, 2018, Mr. Tran Sy Thanh - Member of Communist Party Central Committee, Deputy Head of Central Economic Committee, Secretary of Party Committee and Chairman of Member Council of PetroVietnam (PVN) and Mr. Alexey Miller – Chairman of Russian Gazprom had a working meeting in Moscow, the capital of Russian Federation. PetroVietnam Chairman Tran Sy Thanh and General Director Nguyen Vu Truong Son meet and discuss about bilateral cooperation with Gazprom Chairman Alexey Miller and leadership in Headquarter of Gazprom. At the meeting both sides addressed geological exploration and hydrocarbon exploitation in Vietnam and prospects for joint projects in producing gas and gas engine fuel as well as training cadres for PVN. Mr. Thanh and Mr. Alexey Miller also discuss about implementing joint projects on LNG complex construction, using LNG as fuel for engines and a plan to set the network for LNG supply at the petrol stations in Vietnam. During the working visit to Russia, Mr. Tran Sy Thanh met with Mr. Eric Lion, the First Vice President of Russia's Rosneft Petroleum Group. At July 04, 2018, “Zarubezhneft” Joint Stock Company and Vietsopetro held the 49th conference of Council of the Vietsovpetro Joint Venture. General Director of Petrovietnam Nguyen Vu Truong Son, Head of the Vietnam delegation and Mr. Kudryashov S. I. 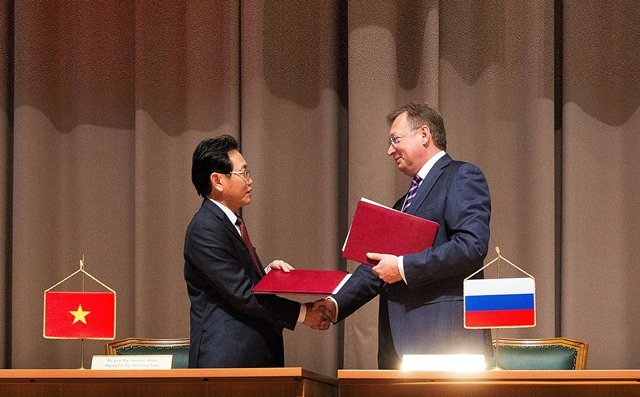 - General Director of Zarubezhneft, Head of the Russian delegation signed the documents of the Council. At the conference, besides the production tasks, the Council considered and approved some other contents related to a number of points in the Staff Regulations, continued to improve the organizational structure, and measures to improve performance of Vietsovpetro. In order to ensure the fulfillment of the extremely heavy targets of 2018, the heads of the two sides asked Vietsovpetro to promptly implement geo-technical solutions approved by the 49th Session, which focus on solutions to adjust the drilling rate and repair wells, solutions to improve the oil recovery coefficient and slow down the submergence process to ensure efficient exploitation of fields. In addition, Vietsovpetro continues to undertake deeper and broader restructuring work, study the application of common management approaches in oil and gas activities, automation of production administration and economic - financial management, applying scientific and technological solutions, innovations to rationalize production, enhance thrift practice and combat wastefulness in all spheres of operation of Vietsovpetro. Both sides will continue to regularly exchange to have timely solutions for supporting Vietsovpetro to complete the tasks.